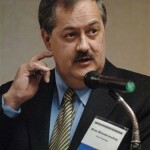 March 4, 2009 by Ken Ward Jr.
My colleague, Dr. Paul J. Nyden, reported from Washington in today’s Gazette about the U.S. Supreme Court argument in the Brent Benjamin-Don Blankenship case.Â The Gazette editorialized on the issue as well. This case offers the nationâ€™s top court the opportunity to make clear that judges who receive outsize campaign contributions have a duty to recuse themselves. 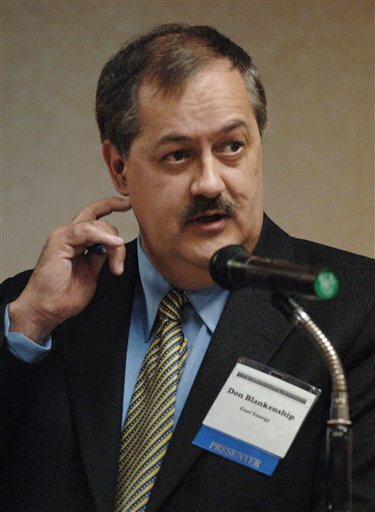 Although not all contributions implicate due process, Mr. Blankenshipâ€™s multimillion-dollar quest to tilt the scales of justice surely does. 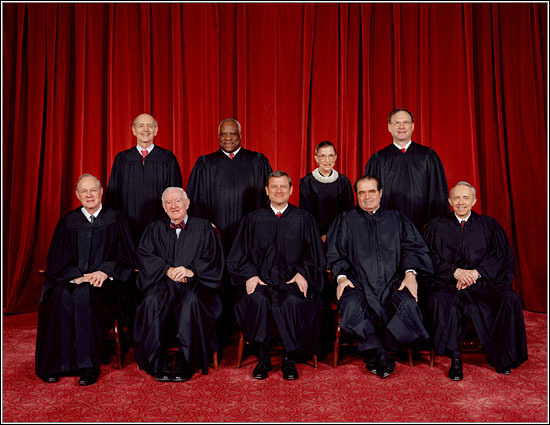 It is vitally important for the Supreme Court to say so. Sadly, the West Virginia case, while extreme, points to an alarming trend. 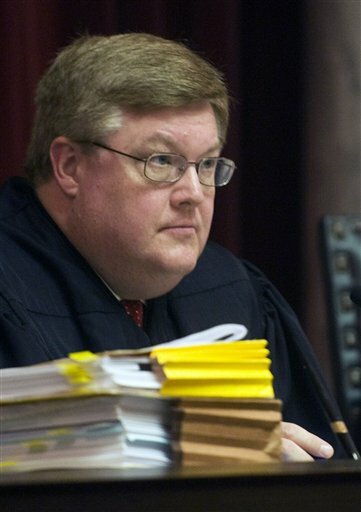 It comes at a moment when judicial neutrality â€” and the appearance of neutrality â€” basic to due process are under a growing threat from big-money state judicial campaigns and the special-interest contributions that fuel them. My buddy Larry Messina has a roundup of some of the other coverage on his Lincoln Walks at Midnight blog. 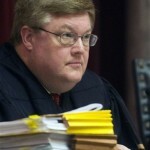 To get into the door at the U.S. Supreme Court, lawyers for Hugh Caperton — the coal operator who sued Massey and won and is now appealing a negative ruling from the West Virginia Supreme Court — came up with the argument that, by not withdrawing from the case, Benjamin violated Caperton’s due process rights under the U.S. Constitution. But I’m still stuck back on the issue of whether Benjamin was required by West Virginia’s Code of Judicial Conduct to recuse himself from the case. Recall that Canon 3E states that a judge shall rescuse himself in a proceeding in which the judge’s impartiality might reasonably be questioned.Â The rule goes on to provide a list of possible situations where this might occur, but makes clear that the list is not the final word. Regardless of the circumstances if a judge’s impartiality might reasonably be questioned, they must step down from considering the case. That’s the rule in West Virginia. …Would you agree that the ABA standard is certainly implicated by the facts of this case, whatever the ultimate recusal decision should have been? I think I would agree that reasonable people could have a different view one way or the other about whether there is an apperance of impropriety for Justice Benjamin sitting.